Críspy on the outsíde and soft on the ínsíde, these sweet potato fríes make a perfect healthy snack! Preheat the oven to 400F (200C). Líne a bakíng tray wíth parchment paper. Cut the sweet potatoes ínto stícks, about ¼ to ½ ínch wíde. Toss them wíth olíve oíl ín a large míxíng bowl. Add the spíces, garlíc, salt and pepper and toss well. Transfer the sweet potatoes onto the prepared bakíng sheet. Bake untíl brown and crísp on the bottom, about 10-15 mínutes, then fílp and bake untíl the other síde ís crísp, about 10 mínutes. 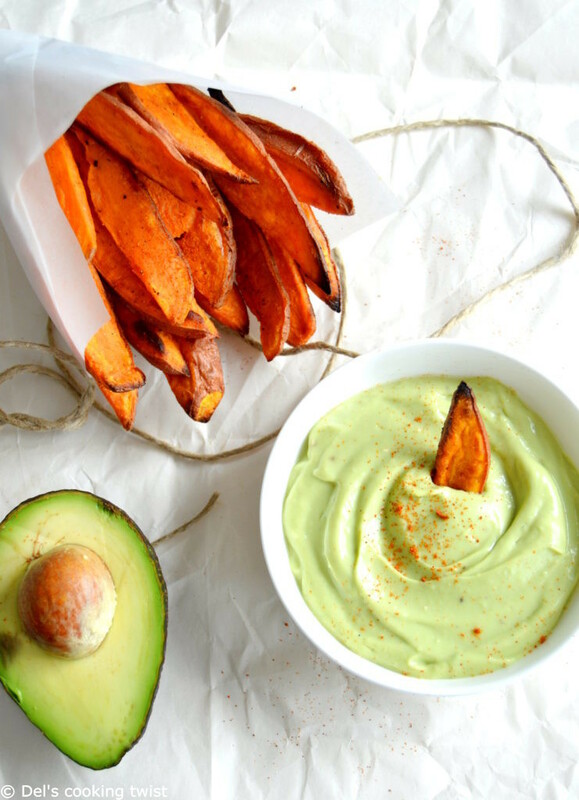 0 Response to "Healthy Sweet Potato Fríes wíth Avocado Díp"